Summer is one of the main seasons that most of us in the UK look forward to planning our vacation. With the children out of school for a while, and companies allowing time off to enjoy a break from the hustle and bustle of everyday business activity, it provides a perfect opportunity for everyone to make a break for it. People tend to head off into the direction of their choice and pursue the interests that most appeal to them. For some, this could mean a few weeks at a beach somewhere, for others a cruise to some exotic destination and for others, a chance to indulge in one of their favourite relaxations: wine tasting. As most aficionados know, the Northern Hemisphere offers a wide variety of choices for wine-related vacations. Arguably, some of the best wines in the world are produced north of the Equator. Undoubtedly, folks in Australia, Chile and even perhaps Argentina would protest this particularly harsh qualification. It is true that the Southern Hemisphere does produce some excellent wines of its own. But it is hard to argue with the choices that are offered by California, Spain, Portugal, Italy, France and Germany. As a result, folks in the UK tend to travel close to home, preferring European sites which offer a wide variety of choices, rather than trips which will take them halfway around the world. But there are those that are adventurous enough to journey to places like California or even Australia in search of the perfect bouquet. Catalonia, Spain. There are many vineyards to choose from and almost all of them sit on steep and rocky slopes which create a striking visual impact, besides some extremely delicious wines. Douro Valley, Portugal. Nestled on the slopes of a river which winds its way from the Atlantic into the northwest part of the country, the region provides tranquil and pleasant accommodations and a leisurely pace which is often perfect for a relaxing vacation. Sonoma County, California. Sometimes overshadowed by its larger cousin, Napa Valley this adjacent county provides much the same soil and terrain but with less of a sense of commercialism. It is almost as if a good part of the region was still run by aging hippies, more interested in quality and keeping it real than profit. Few investments provide investors with as much pleasure as fine wine. Stocks and bonds are great, mind you, but they have no intrinsic appeal of their own. Fine wine however, is an investment that can be made purely to produce a profit, or it can be an investment with a long-term expectation of enjoying uncorking the investment itself. It really is up to the individual to decide what to do with their holdings. 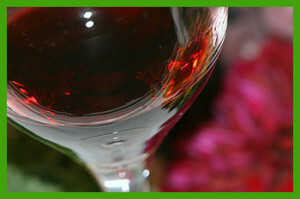 It is good to remember that astonlovell.com are a fine wine investment company. They can provide advice to those just starting out in this exciting world, or provide experts with their unique trading platform that makes investments quite simple and rewarding.